A brave victim of sexual abuse has revealed how she had to relive the trauma to bring her attacker to justice more than 30 years later. The woman, who cannot be named for legal reasons, was sexually assaulted by Terrence Rafferty when he was a teenager and she was just nine. She lived with the secret for decades, and even left her home city as a teenager to get away from the area. She said: ” I moved away just to start again. I was nine when it happened and very naive. “By the time I was 12 I realised what he did was wrong. “I became an angry teen and ended up leaving home at 16. I didn’t want to ever see him again.” Rafferty was previously jailed for five years in 2016 after admitting grooming a 13-year-old Leyland schoolgirl and asking her to model underwear for him, but was released from prison in September last year. His other victim was horrified when she saw an article about the case. She said: ” When I read the newspaper I was absolutely devastated for the girl this had happened to and I thought ‘ I don’t have a choice, I need to report what happened to me’, because for the first time I realised there could be others. The case was reported to Lancashire Police but it took a long time to get to court. It marked the start of a traumatic journey for the victim. She added: “Doing the video interview sent me into a deep depression because I had to describe in physical detail what he did. “I have suffered flashbacks on and off but they increased after the statement I had to give. Terrence Rafferty, 47, of London Road, Preston, appeared before Preston Crown Court where he admitted indecently assaulting the youngster in the 1980s. She said: “It was more than I expected. He had to be sentenced under old laws which carried a lesser sentence. The fact he was a teenager at the time meant if he had have been in court at that time he probably would have got a rehabilitation order. “I can now put this back in a box and draw a line under it. “I don’t have any feelings towards him – if I think about him I feel sick. He’s nobody to me. “I’m not going to let him ruin my life. A proud mother has revealed that her daughter’s bravery in facing her abuser encouraged another girl to come forward. Terrence Rafferty, 47, of London Road, Preston, admits indecently assaulting a schoolgirl in the 1980s. Rafferty, who had already served a sentence for abusing a 13-year-old, was prosecuted a second time after coverage of the first case encouraged a second victim, aged under 14 at the time, to contact Lancashire Police. She was attacked by him over a seven month period in 1988. Judge Beverley Lunt ordered five counts of making and possessing indecent images and extreme animal images – which he denied – to lie on the file. Rafferty was jailed for five years in 2016 after admitting grooming a 13-year-old Leyland schoolgirl and asking her to model underwear for him, but was released from prison in September this year. The mum of the first victim said: “ She has written a lot of poetry since it happened to help her express how she feels. “The article was seen by a lady who had also been abused by this monster years ago, who, in turn, felt strong enough to come forward and reported it. A MAN who groomed a 13-year-old girl and asked her to model underwear for him has been jailed, as the youngster and her parents watched from a court room. 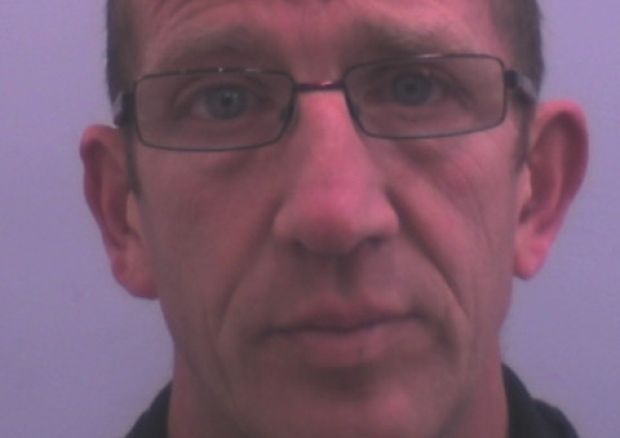 Terence Rafferty, 44, now of Alley Green, Clitheroe, admitted a string of counts including engaging in sexual activity in the presence of a child, and two specimen counts of sexually assaulting her. The victim, a Leyland schoolgirl, eventually wrote a heartbreaking letter to her mother after nearly two years of abuse and the police were contacted. The judge Recorder James Adkin, sitting at Preston Crown Court imposed a five- year sentence. Paul Brookwell, prosecuting, said: “She first met him when she was 11 years of age. They lived in Leyland. “She would say that from around that age she lacked confidence, and considered herself to be chubby. “He asked her to model for him. Initially she would say no. “The sexual conversations became more explicit when he told of her a fantasy of watching her walking along a catwalk wearing a red thong while her mother and grandmother – who is deceased – watched. His behaviour escalated and he started to touch her. An incident in June 2015 led the schoolgirl to come forward. Rafferty indicated the allegations were true in a text to his brother. In an emotive statement shown to the judge, the girl said she felt “felt dirty” and had lost her pride and innocence.